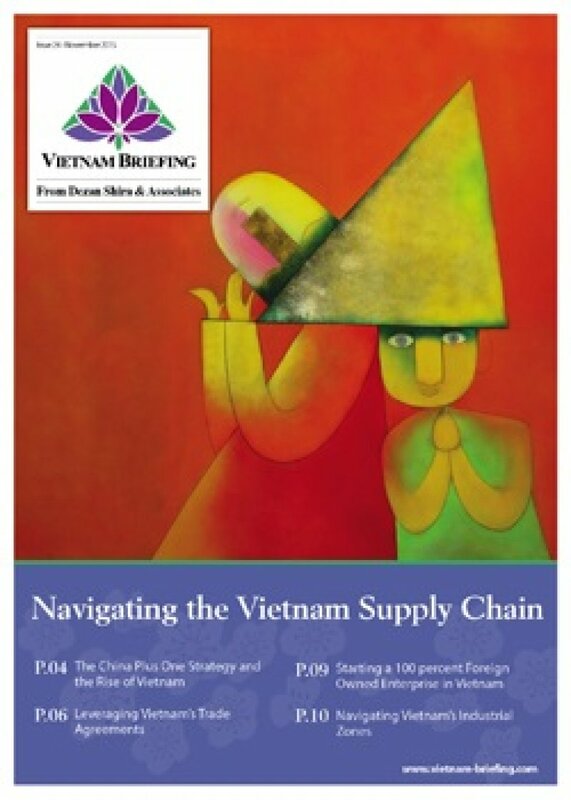 In this edition of Vietnam Briefing, we discuss the advantages of the Vietnamese market over its regional competition and highlight where and how to implement successful investment projects. We examine tariff reduction schedules within the ACFTA and TPP, highlight considerations with regard to rules of origin, and outline the benefits of investing in Vietnamâs growing economic zones. Finally, we provide expert insight into the issues surrounding the creation of 100 percent Foreign Owned Enterprise in Vietnam. On the heels of its successful accession to the WTO in 2007, Vietnam’s commitment to investment facilitation and progress in liberalizing trade are quickly transforming the communist nation into one of the world’s most attractive destinations for manufacturing. This monumental rise coincides with China’s wage inflating transition towards efficiency driven production and significant opportunities for investment in Vietnam. Like many frontier economies, the ability to maximize returns in Vietnam is integrally tied to a firm understanding of its economy. Assessing investment opportunities, leveraging trade agreements, and finding suitable locations for production are all of critical importance for any successful entrant to the Vietnamese market. As China becomes increasingly uncompetitive in low cost manufacturing, opportunities for foreign investment have never been greater in the Vietnamese economy. With our specialized knowledge in market entry strategy advisory, Dezan Shira & Associates can help guide foreign companies as they tap into Vietnam’s great potential.